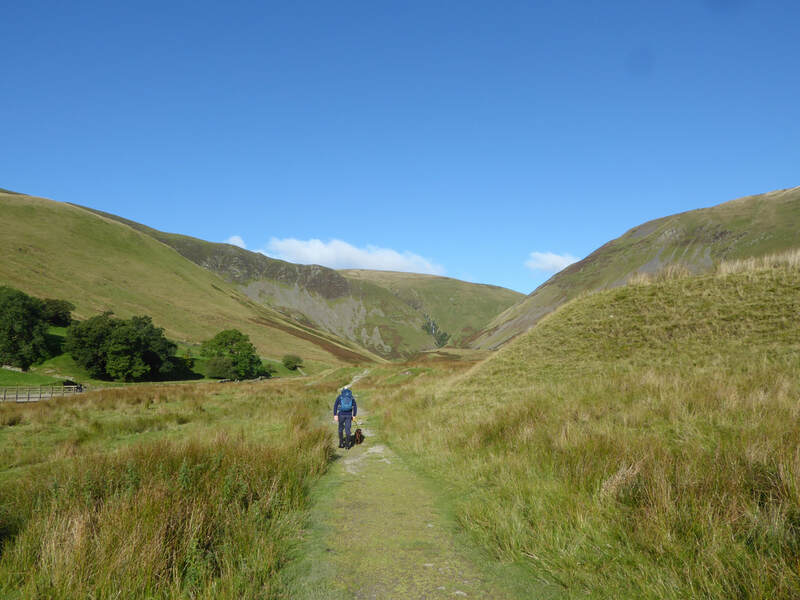 Grassy & stony paths with some steep ascents & descents. 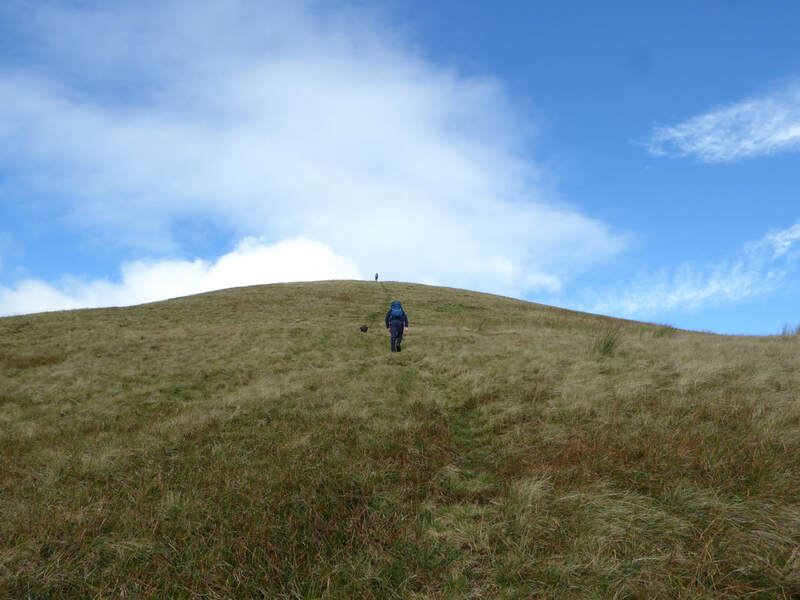 The descent from Yarlside to the col below Kensgriff is extremely steep and care would need to be taken in the wet. 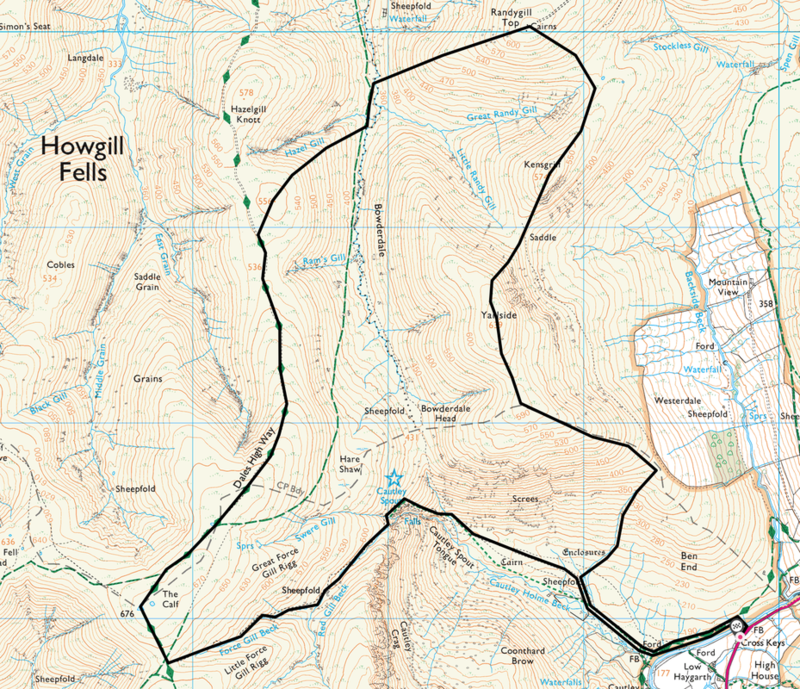 The path from Randygill Top to the Dales High Way is intermittent. Gloriously sunny, yet cool with light breezes becoming overcast in the afternoon. 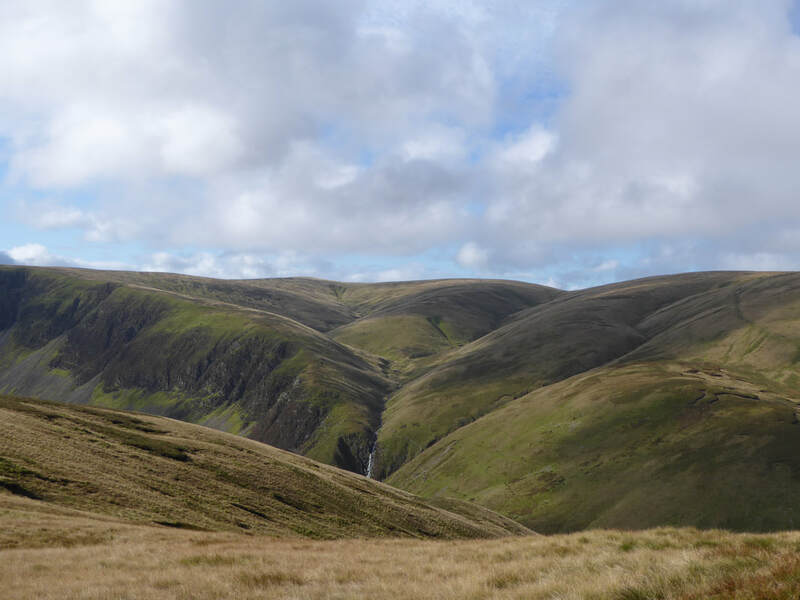 Smattering of rain descending Red Gill. 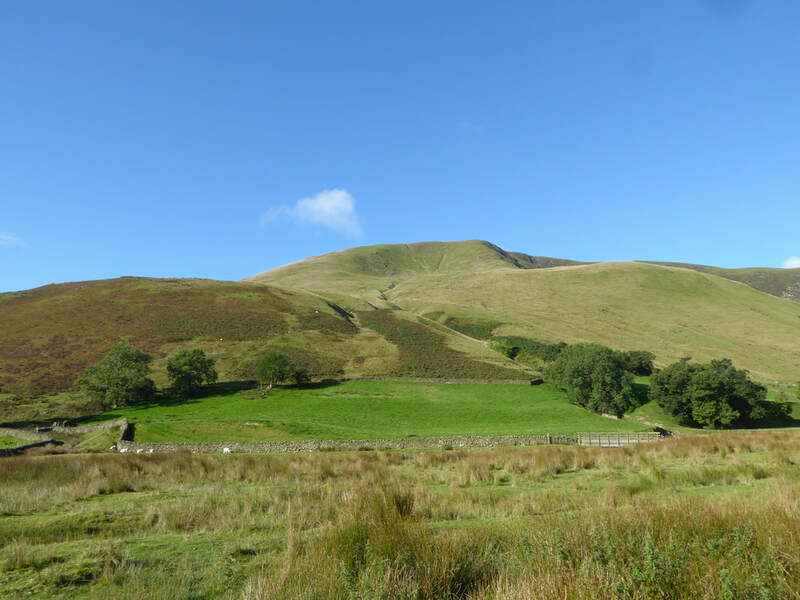 The Howgill Fells are a group of hills on the other side of the M6 from the Lake District. 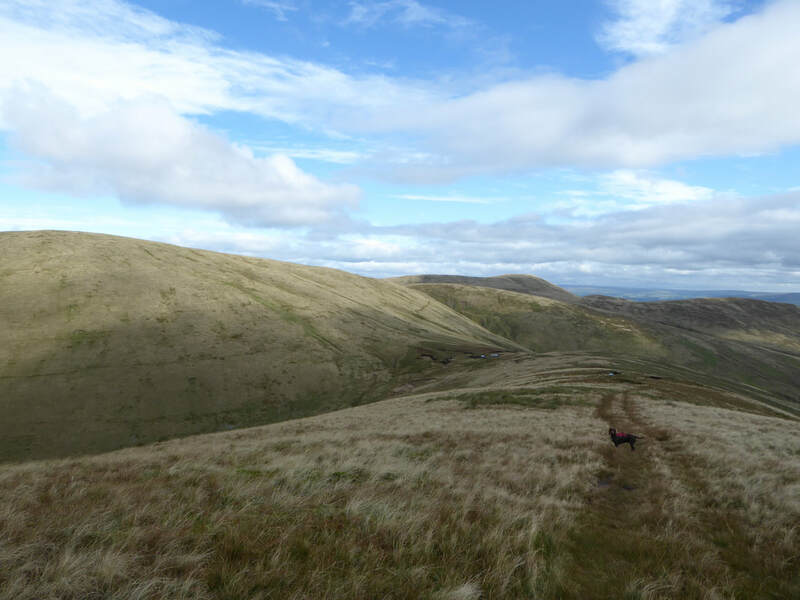 They are bounded approximately by a triangle between Sedbergh, Kirkby Stephen & Tebay. 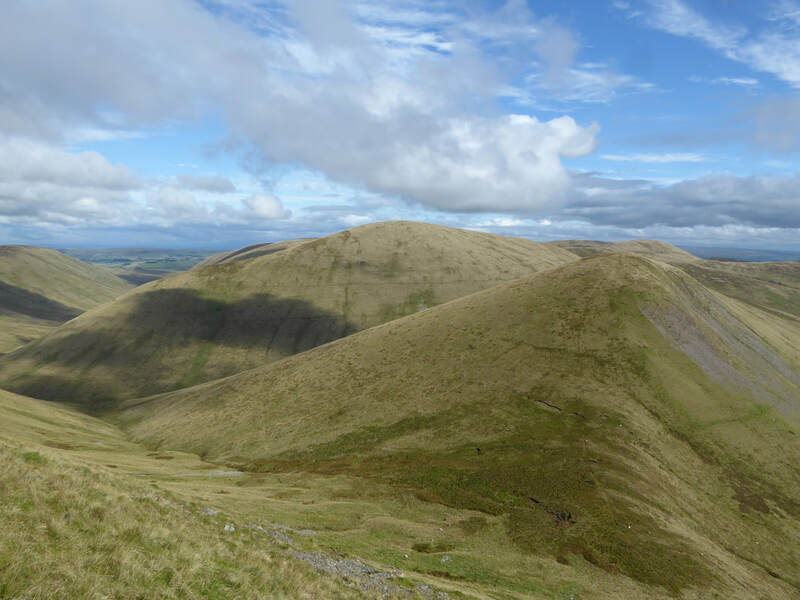 Despite being in Cumbria, the southern half of The Howgills lie in the north west corner of the Yorkshire Dales National Park. 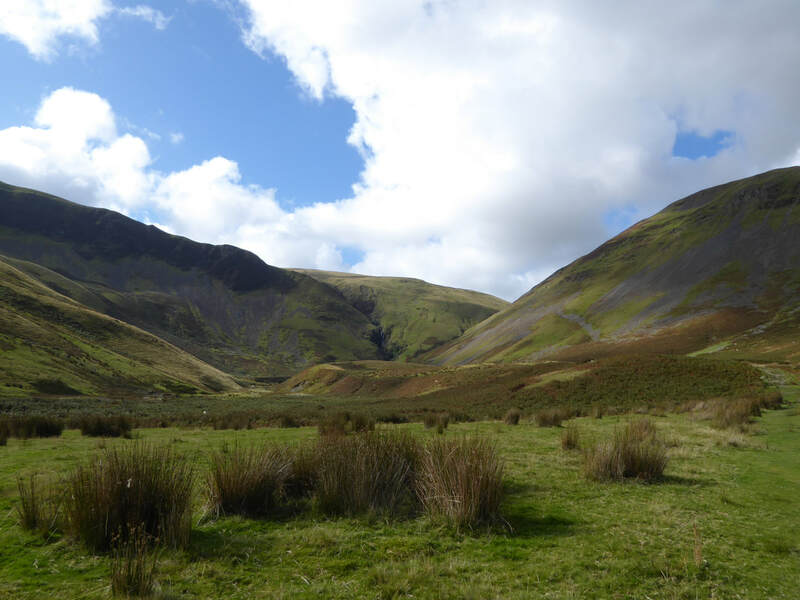 They are separated from the Lake District to the west by the River Lune and in the east by the Dent fault. 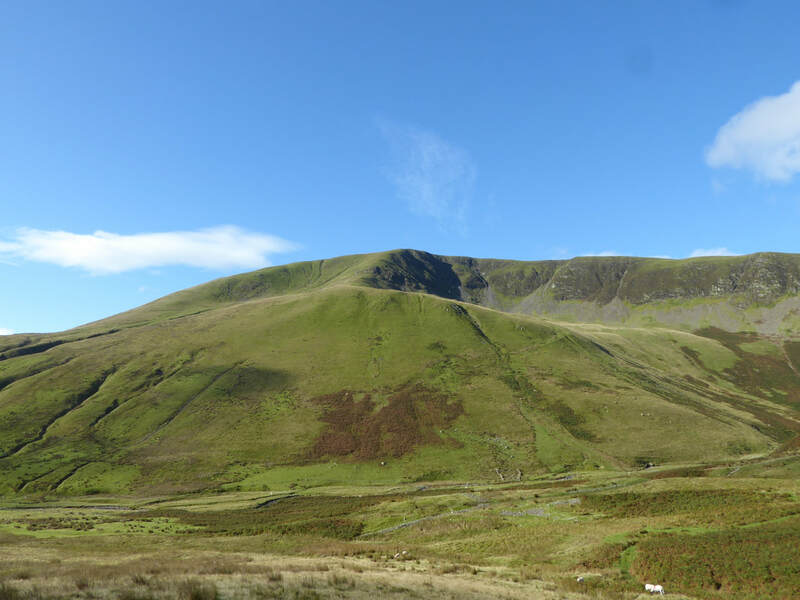 Formed from Ordovician and Silurian rocks rather than the Carboniferous limestone elsewhere in the Yorkshire Dales, they are characterised by a general lack of walls and fences. 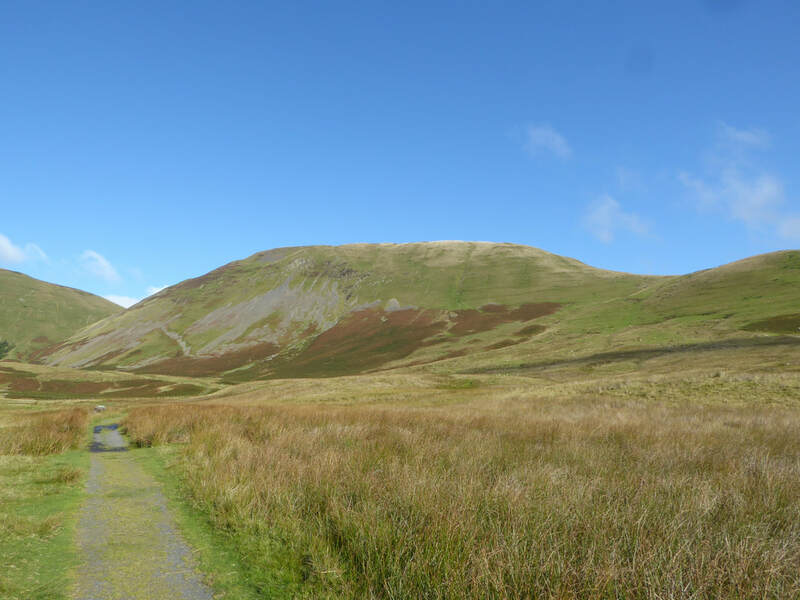 The Howgills are a hidden gem and less frequented than their near neighbours the other side of the motorway - there is excellent walking to be had here. 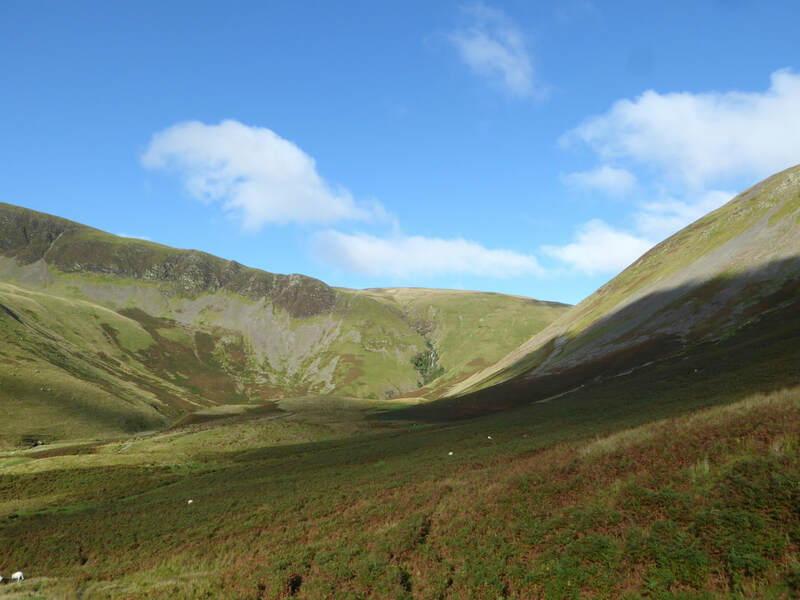 The walk today started from the Cross Keys Inn, north of the small hamlet of Cautley, which is near Sedbergh. It was a lovely day as we left the parking area, crossing the small footbridge over the River Rawthey to reach a grassy path that leads to a ford. 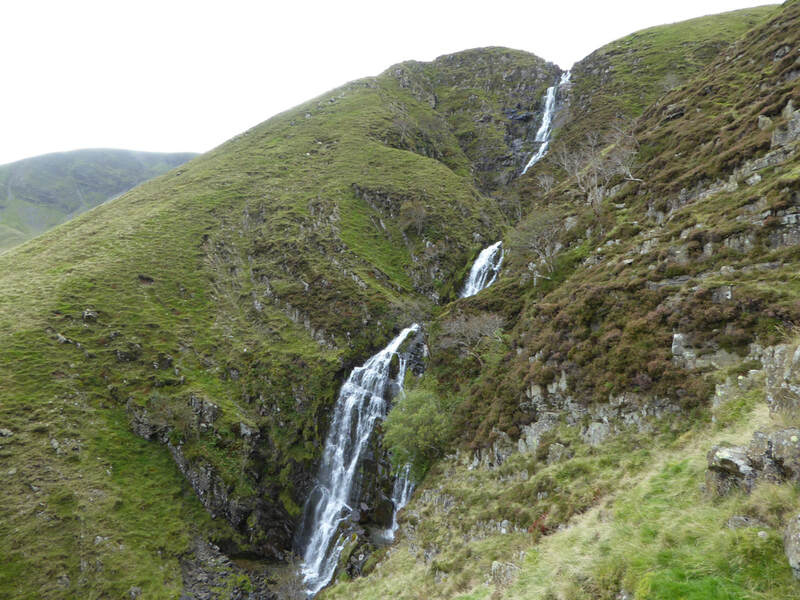 Rounding the bend there is a beautiful view up the valley to Cautley Spout - the waterfall is classed as England's highest cascade above ground and tumbles around 650 feet from the plateau of The Calf. 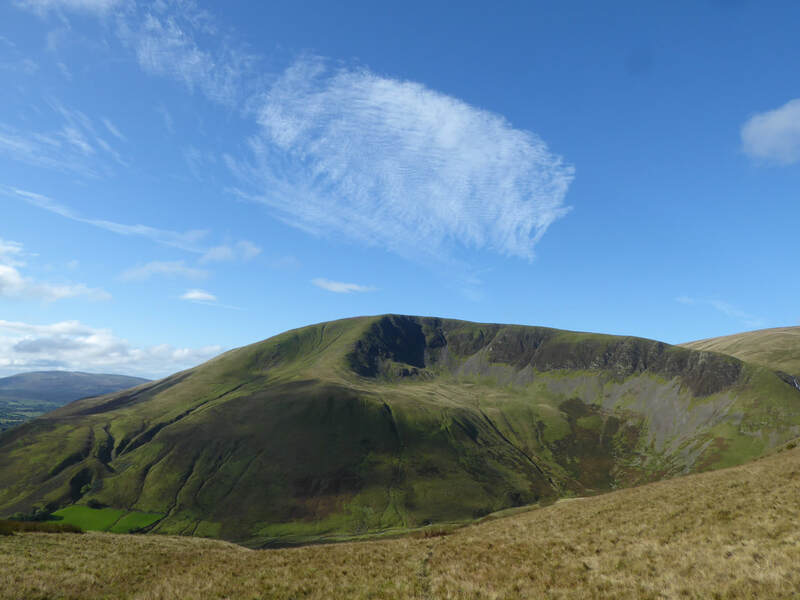 Continuing up the valley floor there are superb views of Yarlside to the right with Great Dummacks & Cautley Crag to the left. 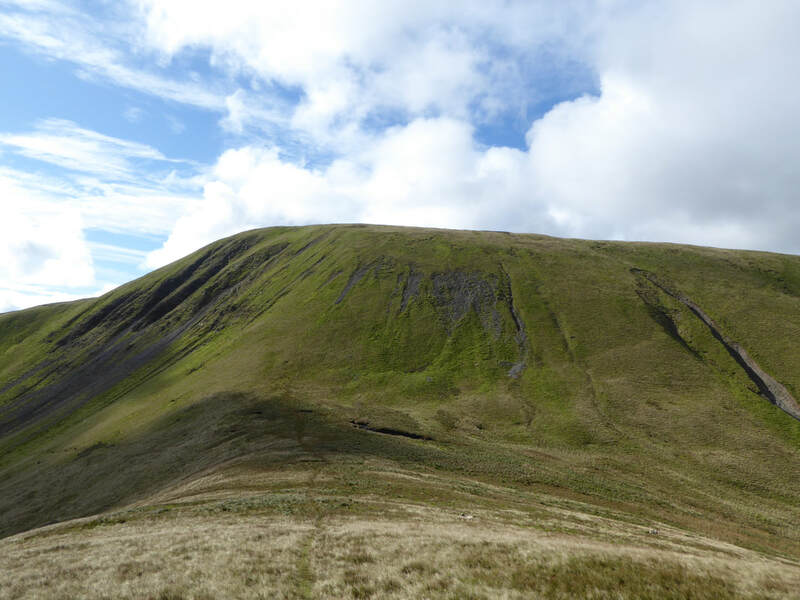 When initially planning the route it was our intention to continue up the valley floor and access the first summit of Yarlside via Bowderdale Head. 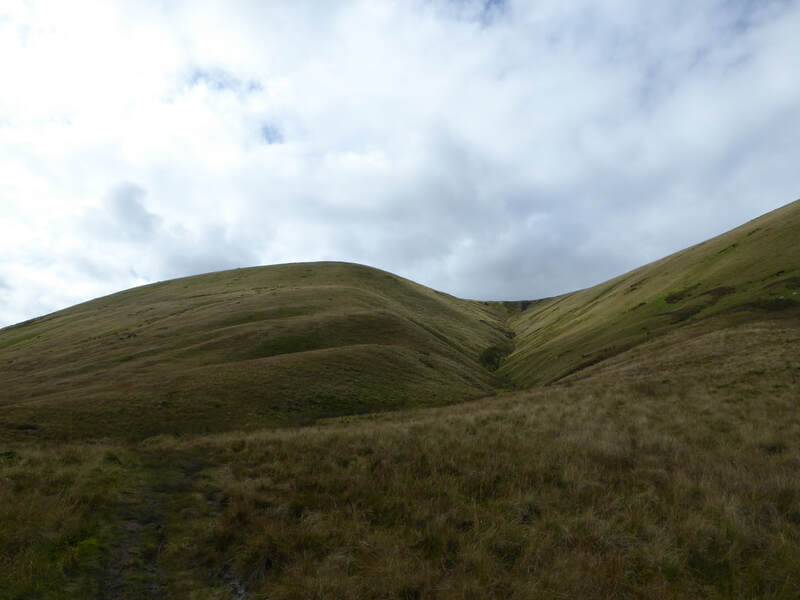 However reaching the sheepfold we decided to turn right to climb steeply to reach the ridge at the top of Ben End - a path is joined here that comes up from the road a little further up the A683. 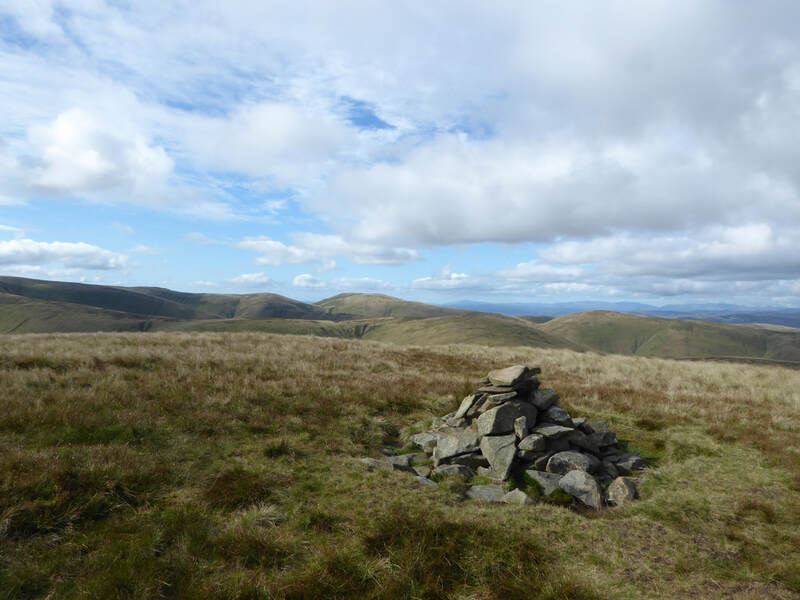 The steep climbing continued as we headed up to the southern summit of Yarlside to reach the spot height of about 1935ft (590m) from where the gradient relented - to reach Yarlside's summit cairn it was a simple case of walking along the ridge followed by a gentle incline to the top. 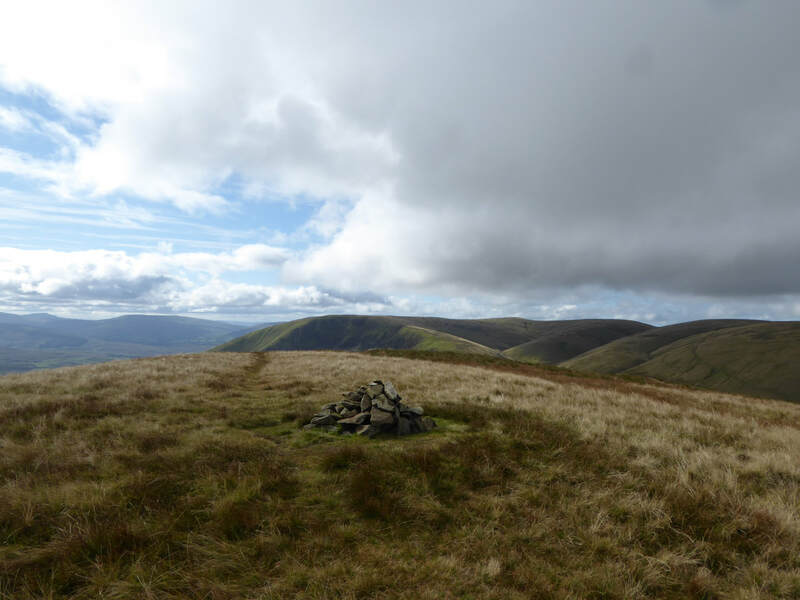 From the summit we lingered a while to enjoy the glorious views over The Howgills before heading over to the next summit of Kensgriff. There is no obvious path from here however the route was obvious and heads very steeply down - care would need to be taken on this descent after a lot of rain. Reaching Kensgriff we then headed over to another obvious col to make the short, steep pull up on to Randygill Top - another summit that gives fantastic views over these beautiful fells. 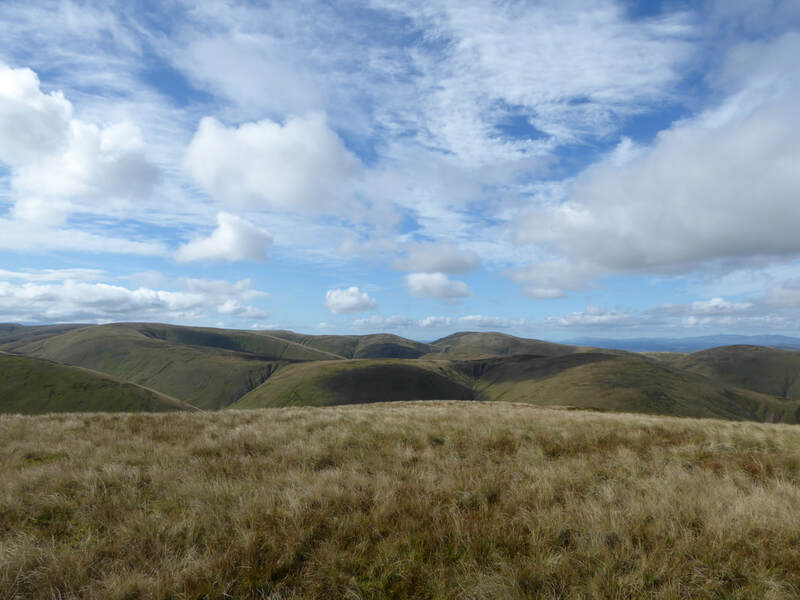 From the summit of Randygill Top we had originally intended to head over further to the west and visit Fell End & Bush Howe but decided to instead drop steeply downhill to Bowderdale Beck from where we climbed to the left of Hazel Gill to meet the Dales High Way coming in from the right. 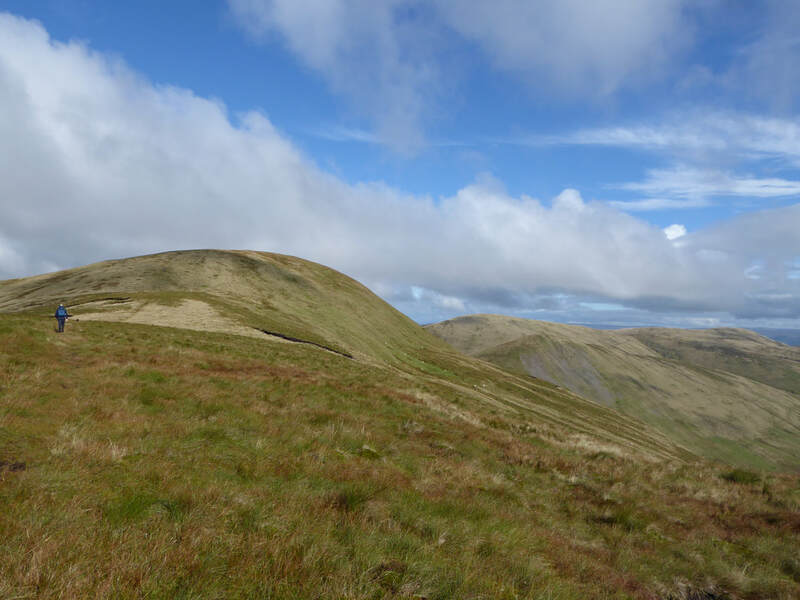 The path was now very easy to follow and meandered over a gentle yet sometimes boggy terrain to reach the summit of The Calf. 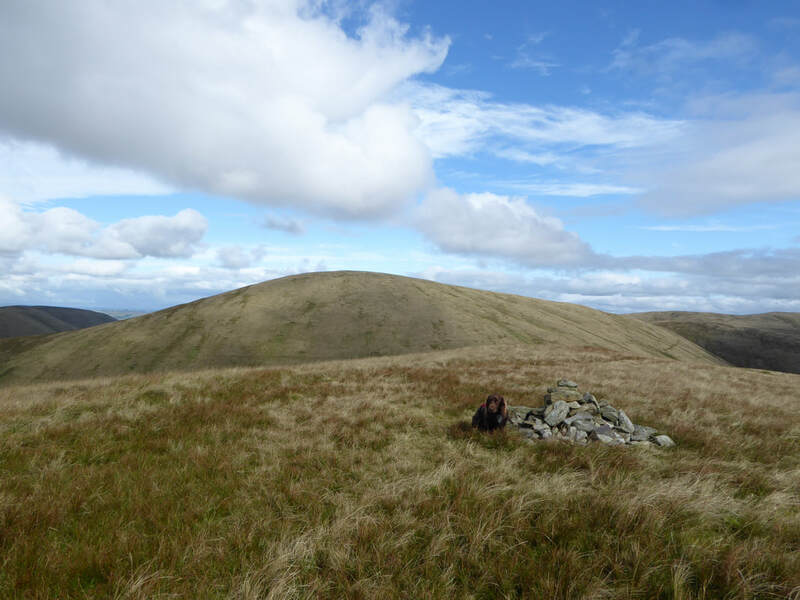 The summit was benign today and bereft of people - a stark comparison to the last time we were here when the wind was blowing fiercely. 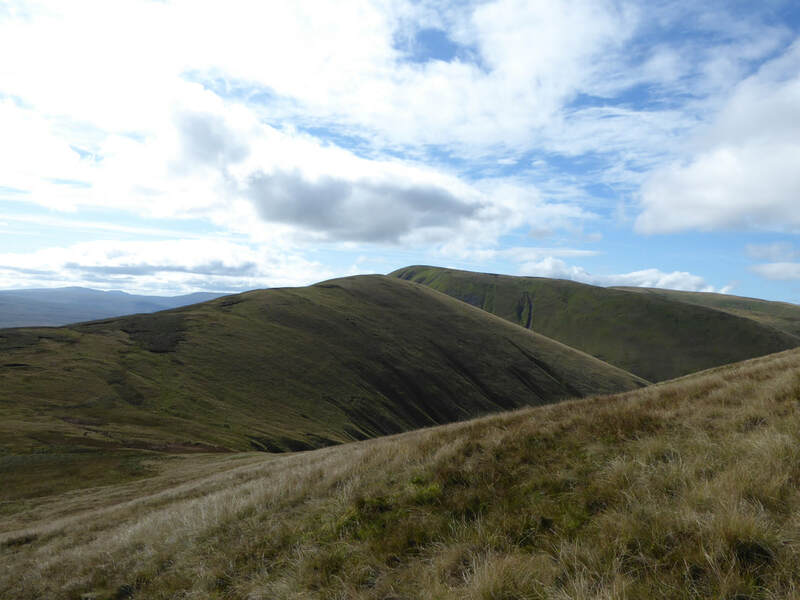 The wide path continued south east from The Calf's summit to reach a crossroads of paths north of Bram Rigg Top. 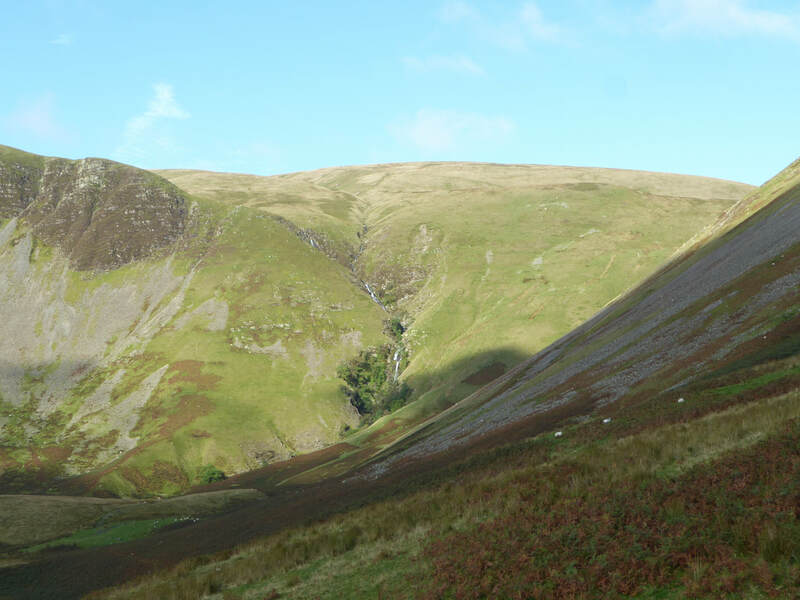 The route headed east at this point over a stony path to meet Force Gill Beck, which then meets Red Gill Beck coming in from the right a little further down the descent. 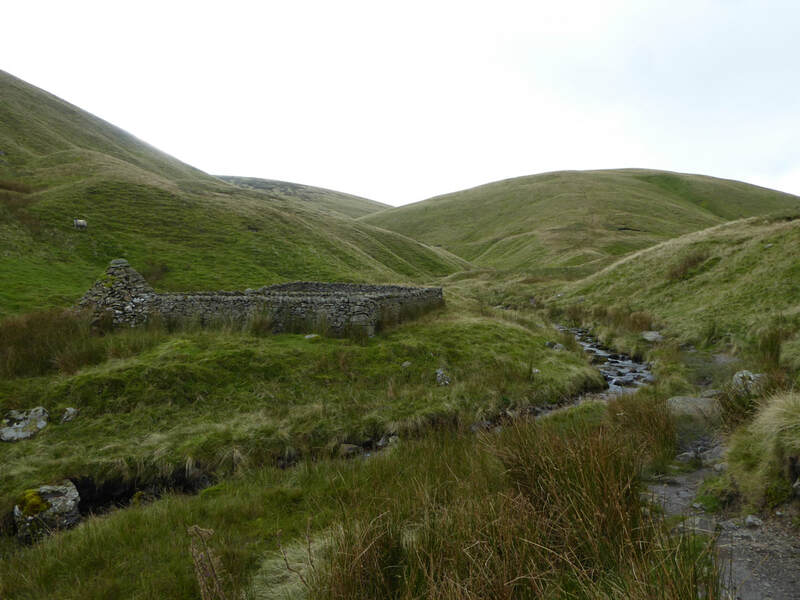 Hand railing Red Gill Beck the path passes the impressive cairned sheepfold built by Andy Goldsworthy and then arrives above Cautley Spout. 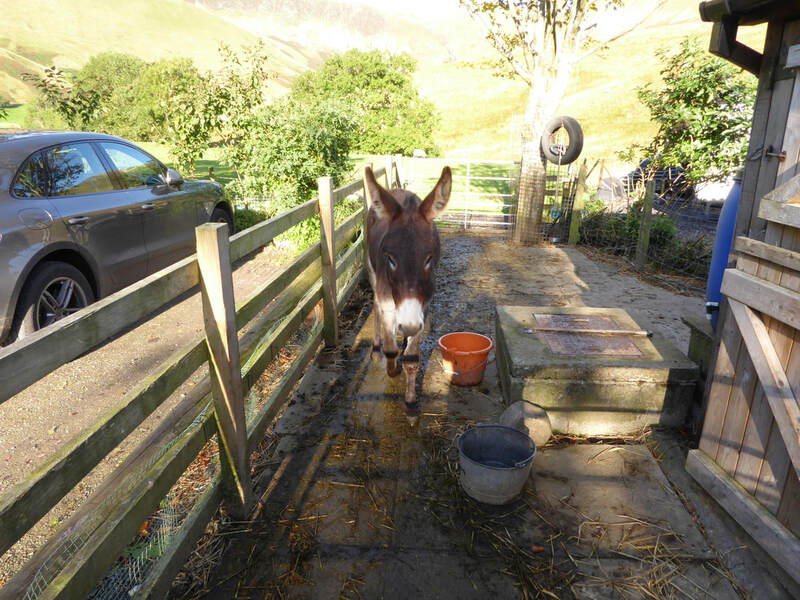 There are fantastic views here - both down the valley and of the waterfall itself as it cascades - it is worth lingering here a while to enjoy this lovely spectacle. 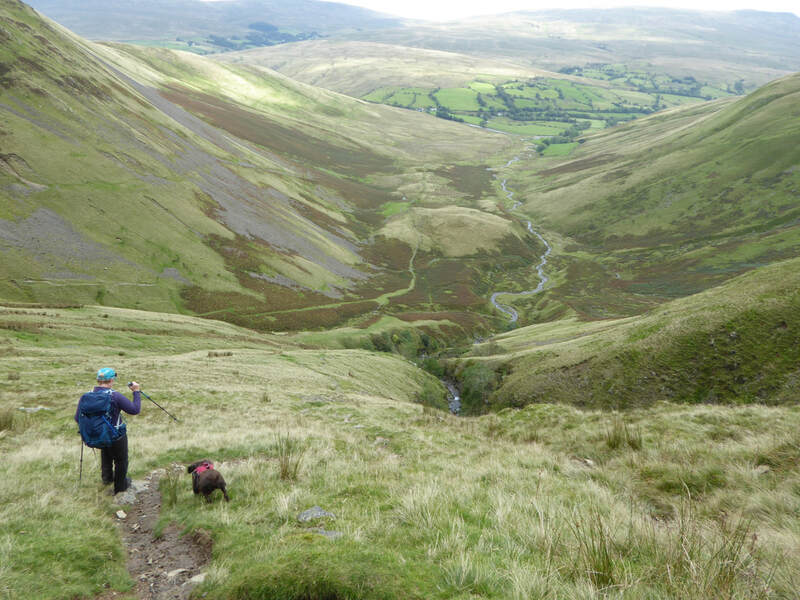 Leaving the top of the waterfall, the path steepens as it weaves its way down to the valley floor to rejoin the outward route near a ford. 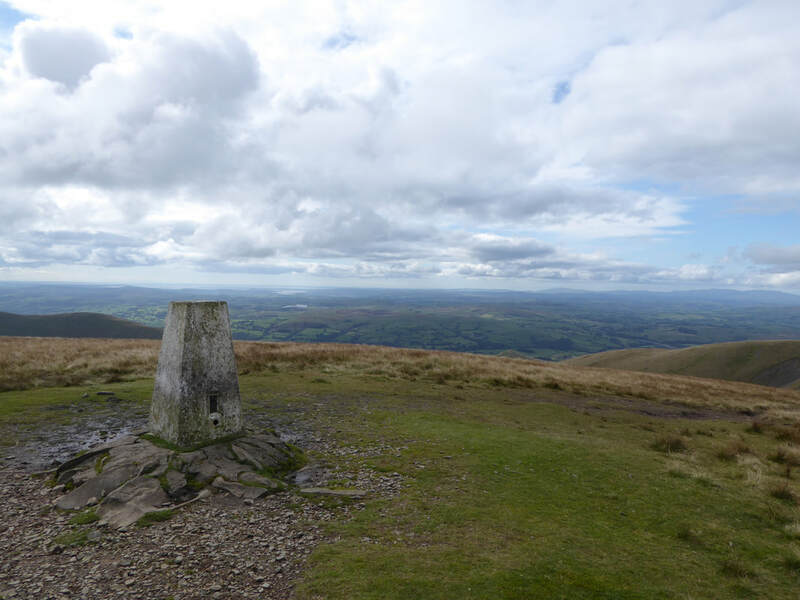 It was now a simple case of retracing our steps back to the Cross Keys Inn. 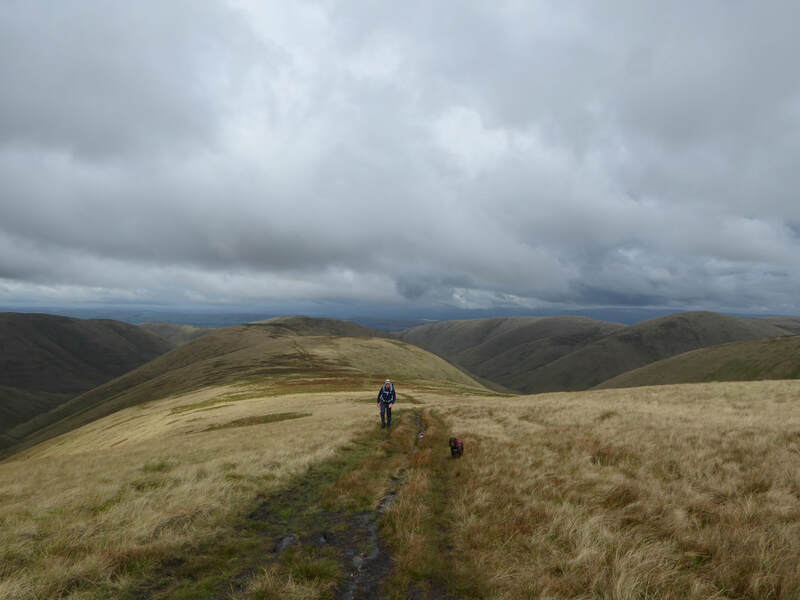 Another superb walk amongst The Howgills - despite this being a fair weather Sunday in September, we saw only a handful of people all day. 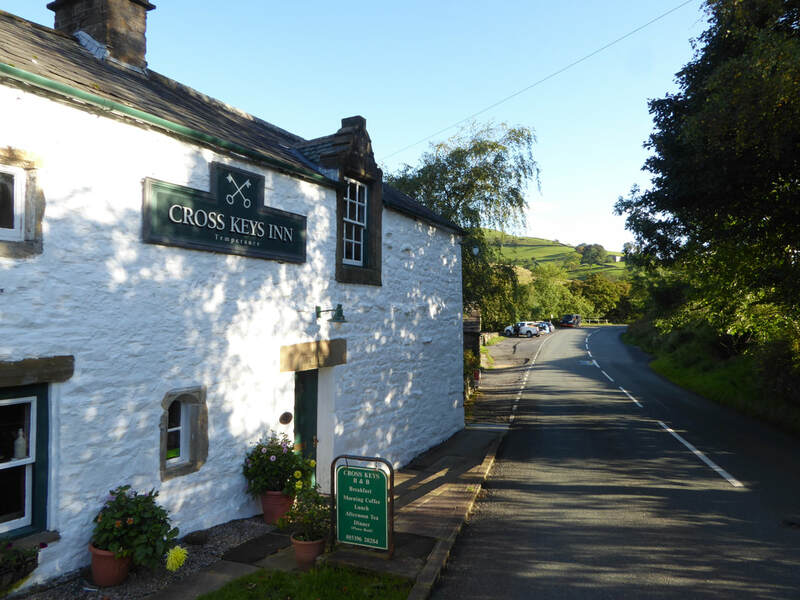 The walk starts from the parking area near the Cross Keys Inn. The Inn is Temperance therefore no post walk pint here I am afraid. 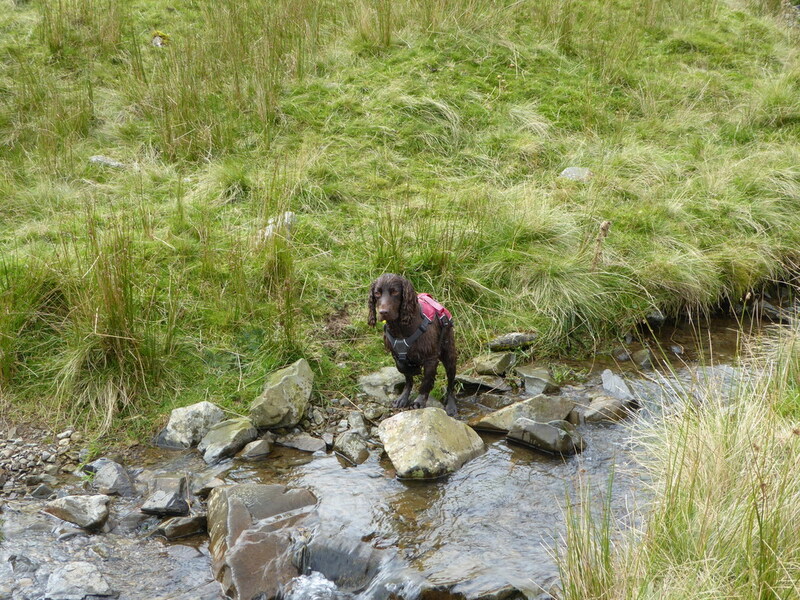 After a steep descent down from Randygill Top the route reached a junction of streams at Bowderdale Beck.